Member Independent Payroll Providers Assoc. Winner NE Tennessee Technology Award – For best utilization of technology to meet customer and operational needs. Serves business customers of all types and sizes throughout the US. Time & Pay is a full service payroll company offering all aspects of payroll services. These include automated time & attendance, human resource management tools, workers comp, paperless payroll services, and benefits administration. All of these help you better manage your payroll, your employees and your business. We constantly remind our customers that payroll is more than just a paycheck. The payroll process is a large part of many businesses, especially as it relates to labor costs. If you are not making use of the payroll process and all the valuable information it generates, then you can do more to better manage your business. Talk to one of our representatives and let us help you get the most out of your payroll process. All aspects of Payroll Processing, Direct Deposit, Labor Costing, etc. And more … All you need to help you better manage your payroll, your employees and your business. Focus more on income generating tasks, and save you money, time and aggravation. 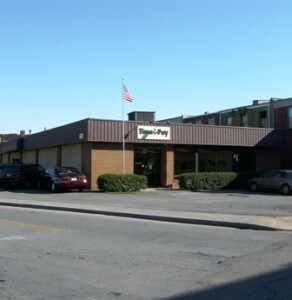 Time & Pay is a locally owned and operated company with offices centrally located in Johnson City, TN. We opened in 1992 specializing in professional payroll processing and integrated, automated time and attendance services and systems. We have since added human resource, workers comp and benefit management service and capabilities. Our highly-experienced staff provide many years of knowledge and expertise in servicing your payroll. They also provide knowledge on human resources and timekeeping needs as well as offering sound business solutions for businesses of all types and sizes. Customer service is the key to obtaining and retaining our clients. We realize that each individual company will have unique needs. We pride ourselves in the flexibility of our services that allows us to meet the demands and challenges of that diversity by making sure our customers get the most out of their paperless payroll services. Our response to our customers is thorough and quick, as well as accurate and confidential. This philosophy has provided us with a reputation of ensuring customer satisfaction and contributed greatly to our steady growth and success. Time & Pay currently serves hundreds of customers, and thousands of employees for companies of all sizes and types. While these are primarily located throughout Tennessee, Virginia, and North Carolina, we also serve businesses located all around the U.S. We are part of a large network of independent professional payroll processors using the Millennium platform serving tens of thousands of customers nationwide. Significantly reducing your payroll, HR and/or timekeeping work and errors. Ensuring that you comply with all payroll rules and regulations. Controlling and defining your labor and related costs. Saving you money, time and aggravation. Making sure you are a satisfied customer. Your satisfaction is very important to us. Read more about our 5 point guarantee.